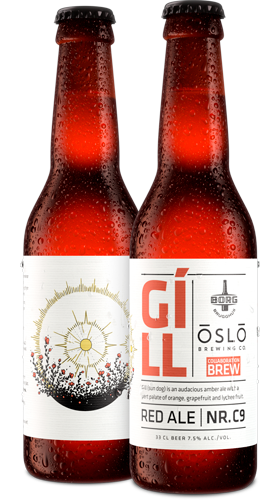 Gíll (sun dog) is an audacious amber ale with a pert palate of orange, grapefruit and lychee fruit. A collaboration with Oslo Brewing Co. Illustration by Auður Ýr Elísabetardóttir.